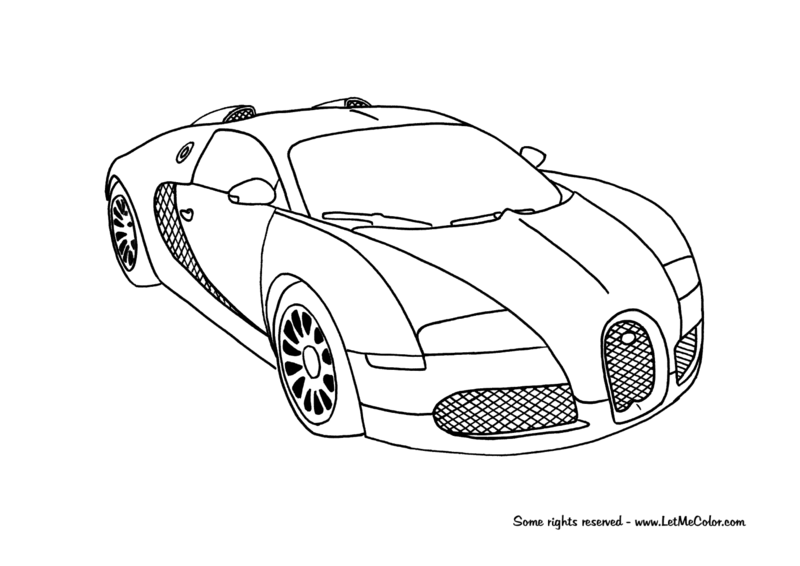 This is a realistic coloring page of the fantastic, $1.4 mln costing supercar Bugatti Veyron. The Bugatti Veyron 16.4 is currently the fastest, most powerful, and most expensive street-legal full production car in the world, with in excess of 1001 horsepower, with its top speed of 253.81 mph (408.47 km/h). (…) UK car show Top Gear host Jeremy Clarkson described the car as “Utterly, stunningly, mind blowingly, jaw dropingly brilliant”. Top speed: 253.81 mph (408.47 km/h), 0-60 mph (97 km/h): 2.46 s, Base Price: $1,440,800 (£757 359, € 1,127,210) – source: Wikipedia.